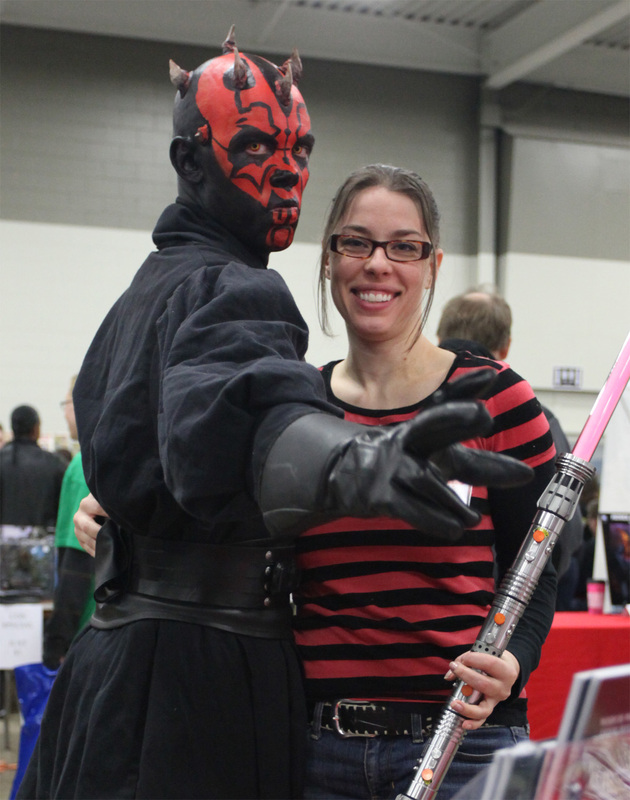 FallCon 2012 Wrap Up! With pictures!! Me showing off our lovely display! Conrad working hard on sketches. 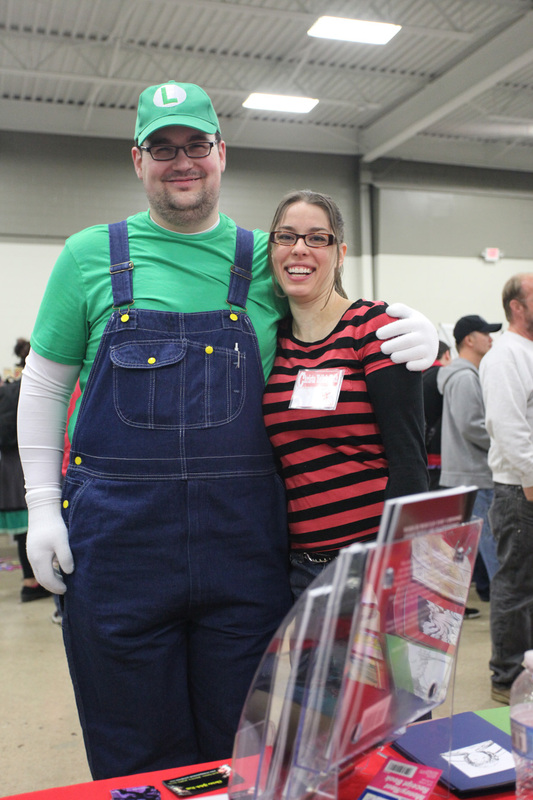 Luigi from Mario Bros! 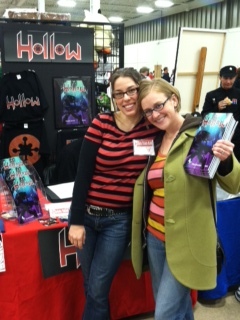 And he bought a copy of Hollow! “Joss Whedon is my Master now” T-shirt–this one is dedicated to my Dad! 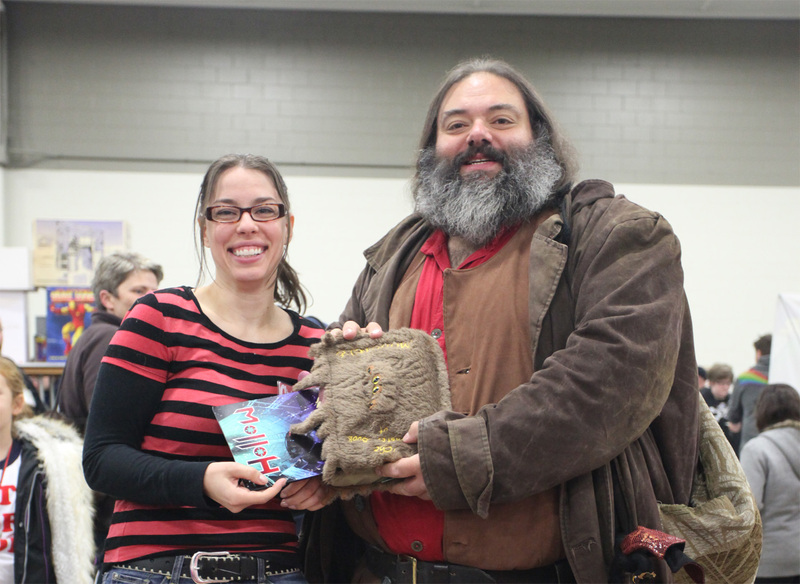 Hagrid’s Book of Monsters eating a copy of Hollow!! Eeeeek!!! My wonderful friend Julie who came from Milwaukee and showed her support. Love you, Jewels! Thanks again to everyone! 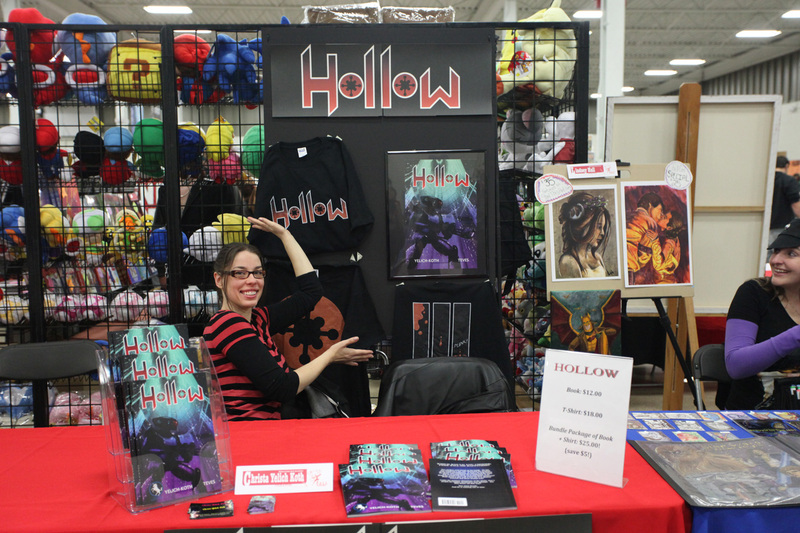 And don’t forget, if you’re looking to pick up a copy of Hollow, you can get it from Amazon (scroll down the page and click on the picture of the cover), Twin City Comics in Columbia Heights, The Bookshop in Roseville, and Captain Jack’s Comics in Bloomington! Keep your eyes peeled for my next post which will reveal Hollow’s unofficial fanpage!! Hey Niece, I am SUPER SUPER proud of you! You rock! Keep up the T-Rific work! Yay, pictures! You and your book look fantastic!! Congrats again Christa. marvelous == what else can i say!!! Thanks Joan!!! It was such a great time. Totally impressed by the wonderful costumes. Looks like it was lots of fun – I wish I could have been there! 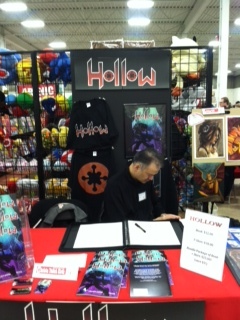 Now… WHERE can I get a Hollow shirt?? « Did you miss the Hollow release party? Never fear!